The air show had some historic aircraft at the show. 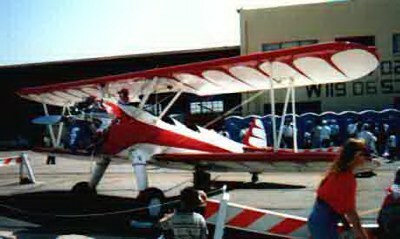 Here is a red biplane. Biplanes are great at maneuvering during slow airspeeds. That made them great for dogfighting in WW1.